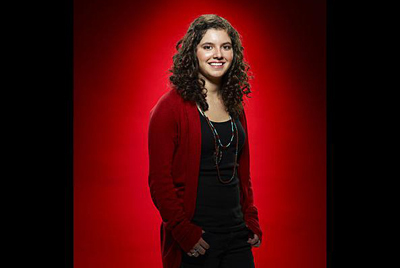 Xenia was a contestant on The Voice Season 1. She auditioned with the song "Breakeven" and Blake and Cee-Lo both turned around their chairs for her. She chose Blake. In the Battle Rounds she was paired against Sara Oromchi and sang "I'll Stand by You." Xenia moved on and Oromchi was eliminated. In the Live Shows Xenia sang "Price Tag" and was saved by Blake. Next she sang "The Man who Can't be Moved" but was eliminated and her fellow Team Blake member Dia Frampton moved on. The post was edited 1 time, last by abouttoexplode ( May 24th 2015, 1:49am ). Singer Xenia, who first made her mark on the first season of The Voice, shows off her soulful pop vocals in her latest single, "Window Pain."